The year 2013 may be remembered as the year when micro started to become cool. 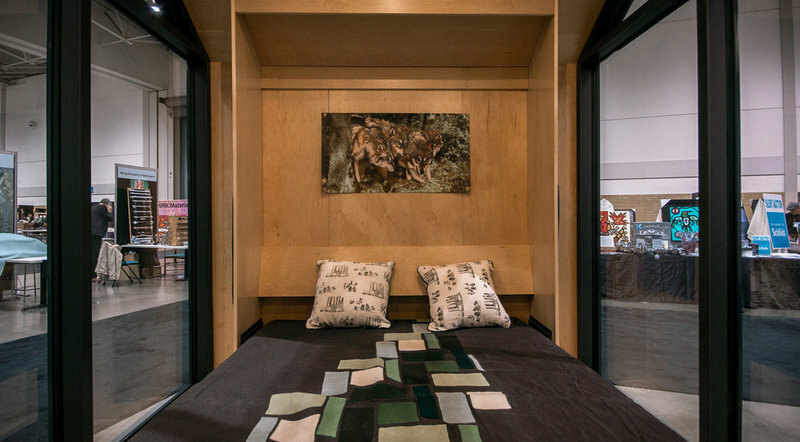 People had been talking about living in small houses as an alternative to oversize suburban houses and urban pads for decades, but a number of events and projects converged in 2013. In January there was an exhibition and news about microunits in New York City, matched by similar news in San Francisco and other cities. 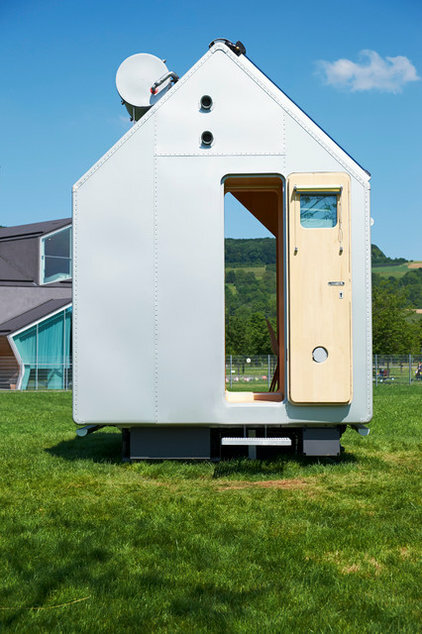 And then every month a new tiny prefab housing unit was unveiled, breaking out of the confines of the city and moving into nature.The following three prefab dwellings each tap into the idea of home through the distinct gable form. One was designed by Renzo Piano for the furniture company Vitra. Another comes from Ábaton and was designed and built in Spain. 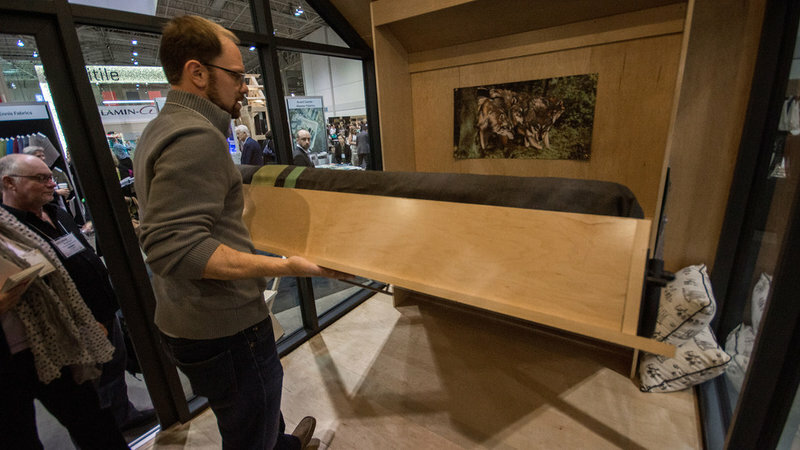 The third is a Canadian product that was unveiled at the IIDEX Canada expo recently. Let’s take a look at each and see how they compare. 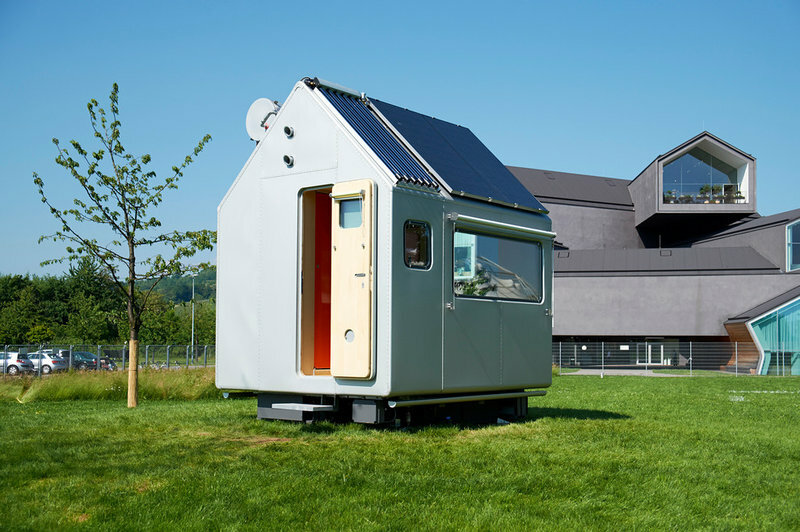 80 square feet, this prototype house, developed by Priztker Prize–winning architect Renzo Piano, was installed on the Vitra campus in Weil am Rhein, Germany, in June 2013. The name Diogene refers to the Greek philosopher Diogenes of Sinope, who supposedly lived in a barrel in the Athenian agora to reject the amenities of civilized life.Piano’s interest in small dwellings goes back to his student days, but he didn’t realize anything until Diogene in 2009. 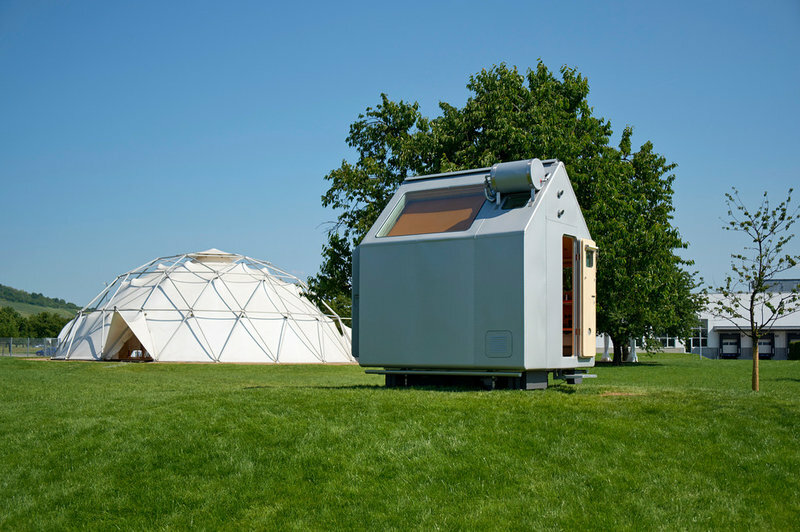 Following the project’s publication in one of his monographs, he teamed with furniture maker Vitra to mass produce the model.The prototype on the Vitra lawn is considered an experiment that will be tweaked before production begins. Piano’s design is easily the smallest dwelling of the three covered here, and this makes it as much a statement as anything. 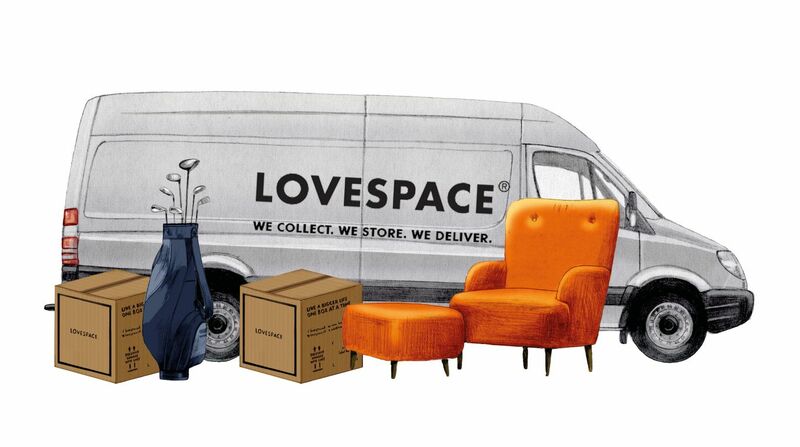 But Diogene is also a fully loaded package that, like an airplane, takes advantage of every square inch of space. This analogy extends to the aluminum exterior, whose windows and rivets look airplane-like. On the exterior we can see the photovoltaic panels and solar water tubes mounted to half of the gable roof. There is also a rainwater tank underneath the floor that, combined with a biological toilet, aims for the building to work off the grid. Given the size of the building, the openings are strategically located. 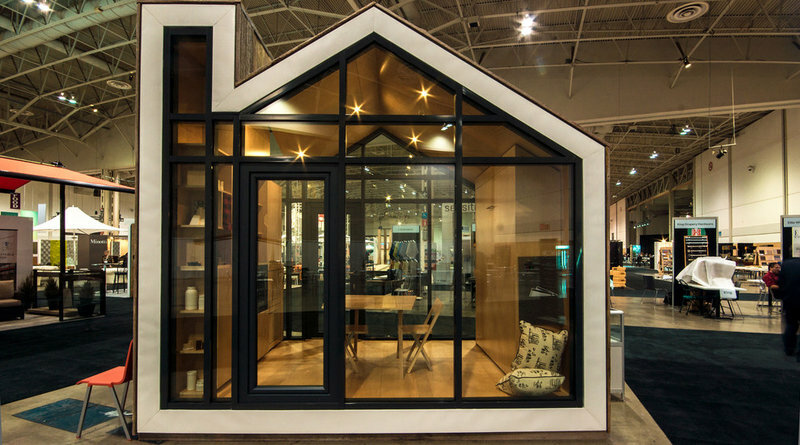 Doors can be found on both of the short ends, allowing for more light and natural ventilation. The holes in one of the highly insulated panels above the door are part of a system that allows for fresh air within the unit when the doors are closed. The interior is separated into two zones, wet and dry; both are lined in wood. In the former are the bathroom and kitchen. 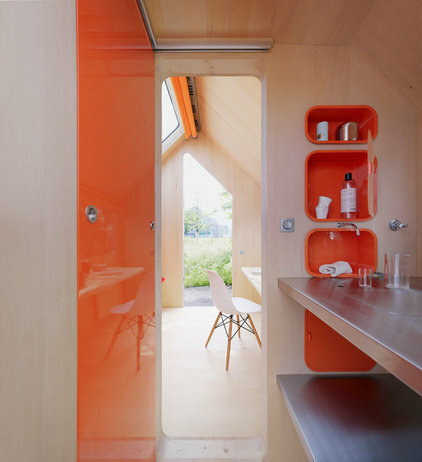 Here we see the kitchen on the right, with the bathroom behind the door on the left.The orange door functions in two ways: In one position it closes off the bathroom from the kitchen; in the other position it closes off the wet and dry areas. The dry living area is also split into two, corresponding to the gable as much as to the footprint of the house. A desk sits in front of a window positioned just above its surface. Below the skylight is a couch that doubles as a bed. These openings bring a lot of light into the small space, but blinds (orange, like many of the project’s details) help to close off the space — to keep it from getting too hot, for example. 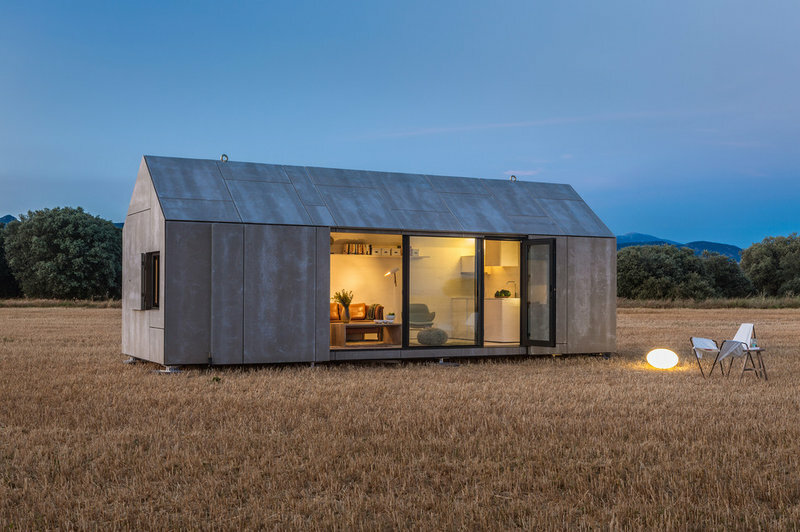 145 to 290 square feetWhile Spain’s Ábaton (Camino Alonso, Carlos Alonso and Ignacio Lechón) cannot boast of a Pritzker Prize, this did not stop them from tackling a similar problem with their design for a transportable house for two people. The abstract appearance of the project comes from its exterior articulation in cement board panels, some of which hinge and slide for windows and doors, opening up the otherwise sealed building. 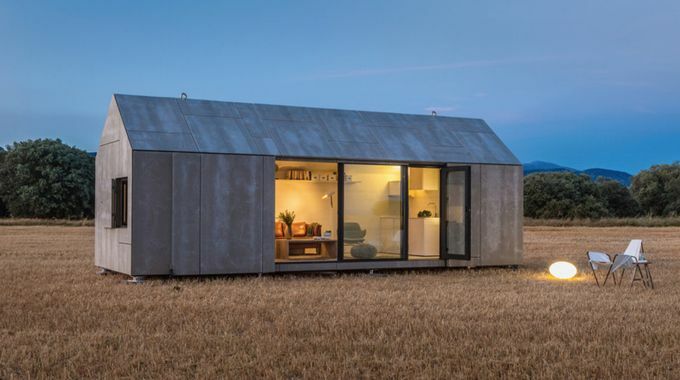 The folks at Ábaton can boast that while the dwelling takes four to six weeks to manufacture (depending on its size, since they offer a range of footprints and amenities), it can be assembled in only one day. Even the largest model (almost 30 feet long) can sit on a truck’s flatbed. 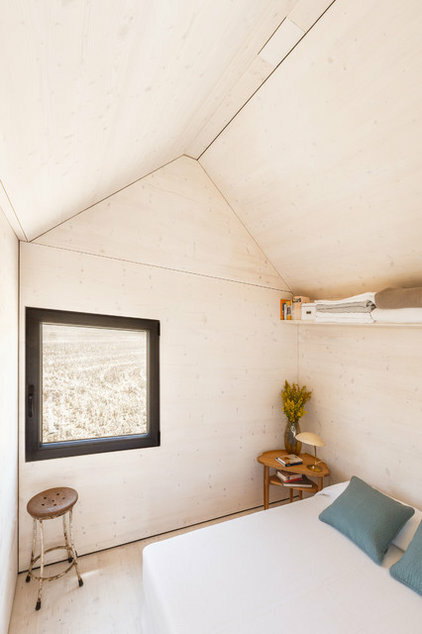 The gable-shaped ÁPH80 is fairly open in the middle and solid at the ends, owing to the placement of the living space in the middle of the plan and the bathroom and bedroom at either end. Layout options can easily change what fits where within the footprint (again, ranging from 145 to 290 square feet) — changing it from, for example, a full dwelling to just an ancillary building with only bedrooms, a dorm-style building with bedrooms straddling a bathroom, or a completely open-plan living area with a kitchen. 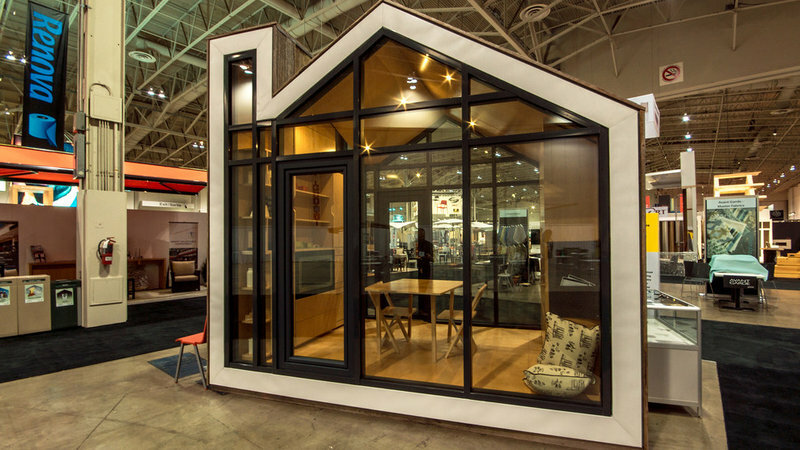 The model shown here is the largest one; it has an open living space between the bathroom and the bedroom. Here we are looking toward the bathroom, which shares a wall with the kitchenette. The ventilated, gray cement board facade gives way to sustainably sourced wood inside. In between is wood framing and insulation. Looking in the other direction from the kitchen area, we can see the door to the bedroom, which has its own window on the short side. If we compare ÁPH80 to Diogene, each is lined with wood on the inside, but whereas Piano’s design splits the internal functions into two down the middle, Ábaton’s pushes the occupied area to one side, allowing the open side to function as the circulation spine. The bedroom window is small but important, for it allows air ventilation throughout the whole interior. A similar opening is found in the bathroom, above the toilet. 106 square feetThe team of Evan Bare and Nathan Buhler, with Jim Moore and Jorge Torres, developed the Bunkie as a prefabricated, multifunctional space that is just smaller than the square footage that requires a building permit in Canada.They envisioned the spaces being used as auxiliary buildings for the country’s ubiquitous cottages. 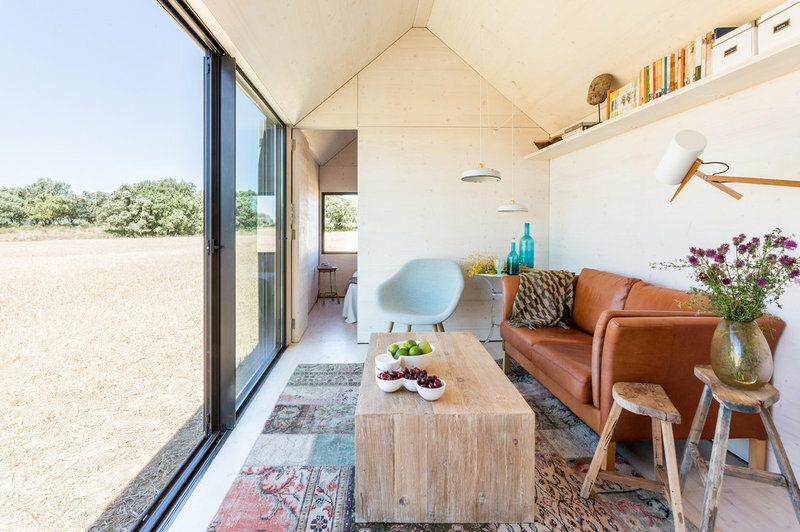 As with many small dwellings, the interior is as much furniture as architecture. 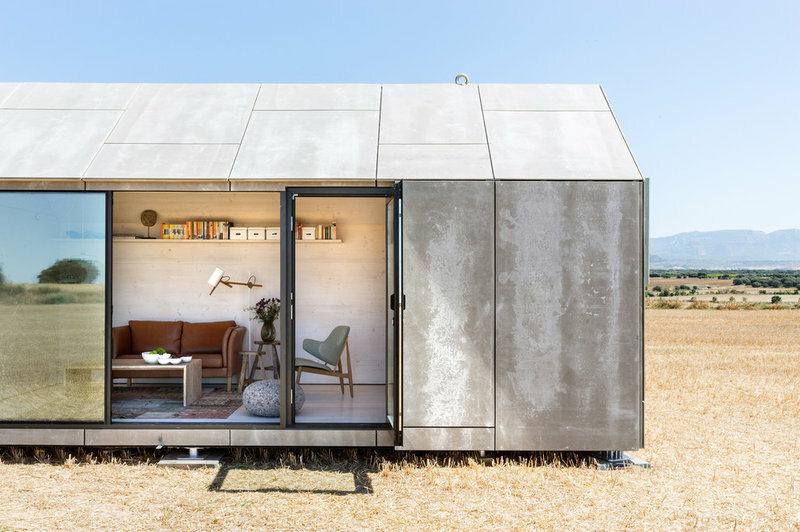 In the case of the Bunkie, this is not surprising, given Bare’s background in industrial design and Buhler’s background in crafting furniture. The extra space created through the chimney-like extension is hardly wasted. 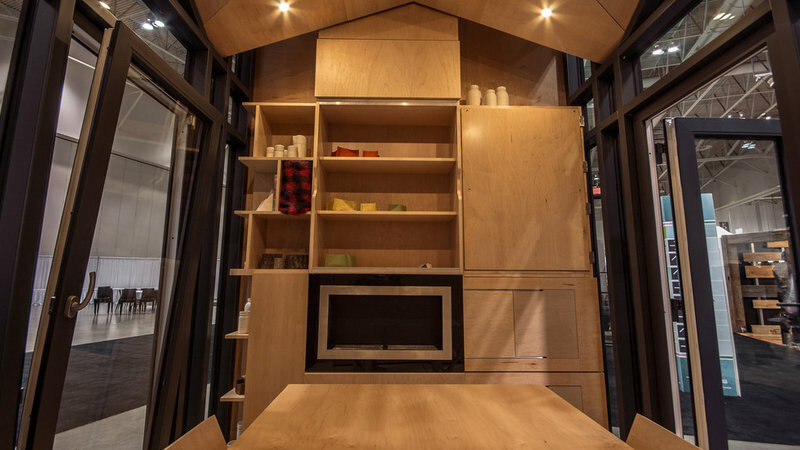 The ceiling bows up in the middle to carve more space in the 106-square-foot room, and storage can be tucked up into the sides from the shelving below. 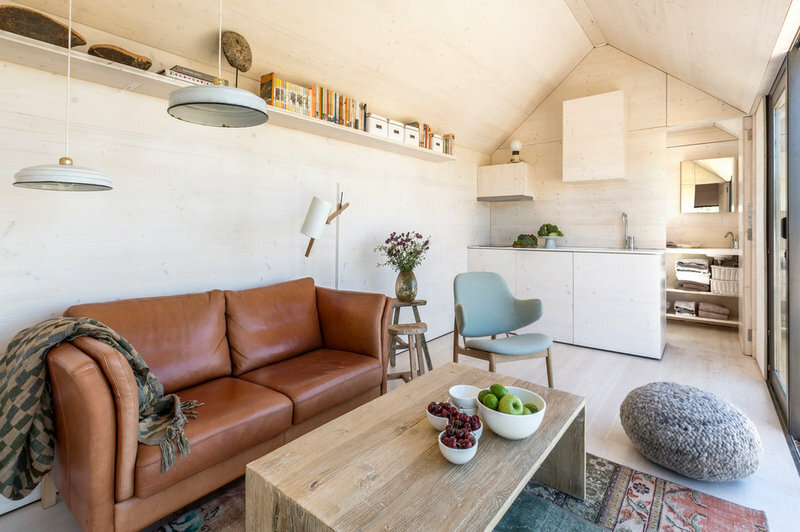 Here we can get a good idea of how the perpendicular ends in the room are fitted out with flexible furniture — in this case open and closed storage, folding chairs that can be hung off the shelving, and a fireplace. The opposite wall is where the oh-so-important Murphy bed can be found. The solid top, bottom and ends of the Bunkie are made from insulated sandwich panels mounted to structural plywood ribs. 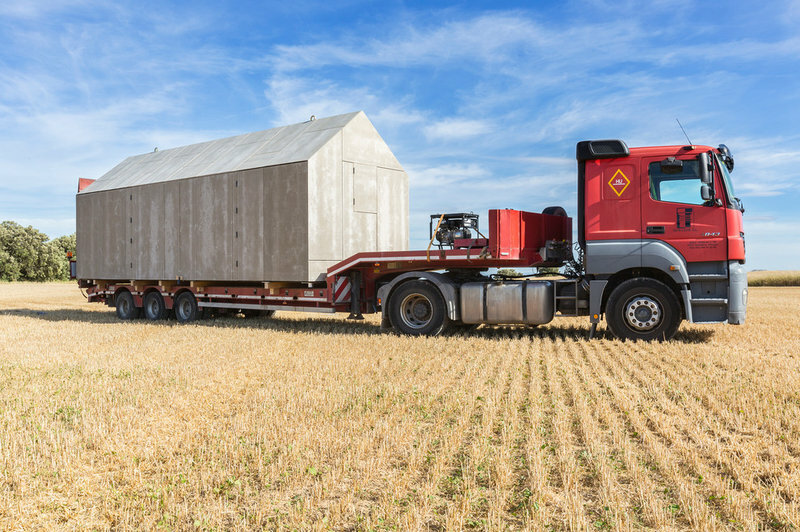 The panels are ribs that are prefabricated offsite; the 15 pieces can then be connected onsite with nuts and bolts — with the glass and furniture, the Bunkie can be assembled in two days.